THE Postal and Regulatory Authority of Zimbabwe (Potraz) last week commissioned a community information centre (CIC) in Guruve before donating 30 computers and three multi-purpose printers to three schools in the area. Guruve's CIC is one of 75 operational centres out of the 146 that Government has established, 11 of which are in Mashonaland Central Province. CICs that are operational in the province include: Bindura, Centenary, Concession, Glendale, Muzarabani, Rushinga, Shamva and Guruve, which were established through the Universal Services Fund which is administered by Potraz. Forty-three schools from Mashonaland Central have so far received between 10 and 20 computers each from the ongoing e-learning programme, which again draws funding from the Universal Services Fund. 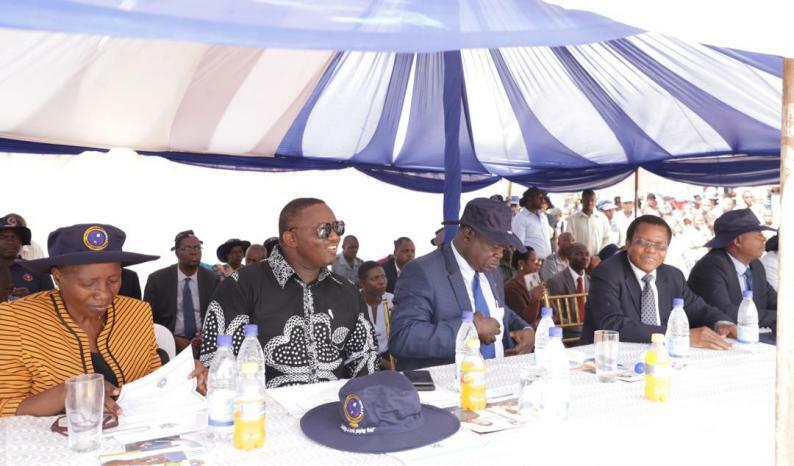 Speaking at the occasion, Information Communication Technology, Postal and Courier Services Minister Kazembe Kazembe said over the years Government has sought to address the barriers to infrastructure connectivity by focusing on the establishment of CICs like the one launched in Guruve ." Over the years, we have, as Government sought to address barriers to infrastructure connectivity. This focus led to concerted efforts in establishment of community information centres, including the one that we are gathered to officially launch today," he said. "Connectivity and access for all are very crucial to the internet's contribution to sustainable economic development and while there has been significant progress in terms of access to internet throughout the country, much still need to be done to ensure that all communities are covered. "ICTs are enablers and catalysts of sustainable economic growth in both developed and developing countries and have over the years been drawn to the epicentre of national, regional and global development blueprints." He said Potraz was proactive in addressing the lack of knowledge in the use of computers by providing training absolutely free of charge at all the CICs. Speaking at the same occasion, Potraz director-general Dr Gift Machengete appealed to internet users to use the service responsibly. He said the internet had been used in the recent past to incite violence in the country, resulting in the wanton destruction of property, injury and loss of life. He urged the people to report to authorities if they receive any messages inciting and promoting violence.